Simple Guide To Make Money Fast From Event Blogging: Event Blogging is now become an easy way to earn huge amount of money within few days and 1-2 weeks.Today we’re sharing about how to make money from event blogging.Most of the event bloggers are earning money with simple articles, news and from other stuff. 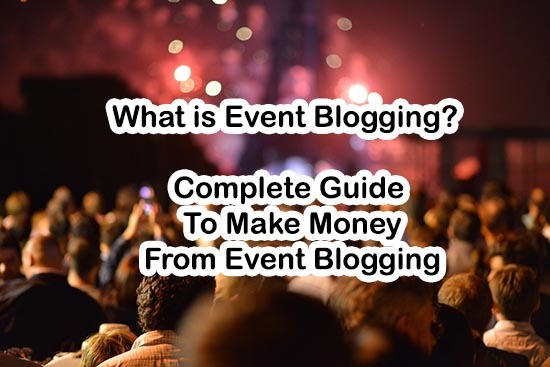 Many major bloggers earned hundreds and thousands of Dollars with event blogging and many bloggers want to try their hand on the event blogging.There are some tactics which help to earn money from event blogging and drive traffic to your website. There is a step by step guide to make your event blogging successful without getting fail.The First thing you have to be sure that you’re going to give proper time to your new blog because it’s not easy to Make Money from Event Blogging and make your new blog more search friendly within few days. Search engine need some time, so you should start the event blogging before 1 months of event you choose. The first thing you need is a perfect event which is most searchable on the internet not just an event which is popular in a specific region. A perfect event may be a christmas eve or any sports event like PSL, IPL or Football WorldCup. IPL & PSL score, Fixture and Rank Table. Once you have select your specific event you can purchase a relevent domain and hosting.A relevent and perfect domain should have the same related term which you will going to select as your event niche. You can purchase the www.easterwishes.us (Country targeted) if you’re going to start a blog on Easter festival. Cricketupdates.com(TLD) if you’re going to provides scores, news and other things. After you purchased the domain, now create a self hosted blog on WordPress.You can also setup a new blog on blogger, but WordPress is best platform for blogs and websites.Blog doesn’t give you full control on your website, but with WordPress you can do anything with your blog. You need a premium and high quality WordPress theme, we prefer to use Genesis framework on your blog.Genesis make your blog loading fast and allow you visitors to see the content first and images after. 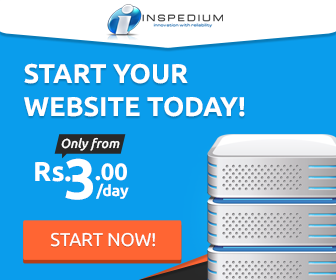 Here you can get free WordPress setup from experts. Keywords researching is an essential process for blog posts.Keywords research plays a major role in ranking of a blog posts.Keywords are important so make sure that you’re using top search keywords on your blog.You can use any search keyword tool, there are many available on the internet. Few of them are free and Google Keyword Planner Tool is one of them.You can use Google Keyword planner tool for free, you just need to signup to Google adwords. Now make a proper list of keywords which are top searched.Its good to use keyword which have less competition.Less competition will shows your blog more whenever anyone search for that query.This is a simple and effective technique of getting organic traffic. Bing webmaster tools also allow you to search keyword, you should also optimize your blog posts for bing because it is the second most used search engine worldwide. Use Keywords in Title of the Blog post. Use Keywords in H1, H2, H3 tags. Use keywords in Meta Description. Use keywords in blogs posts images alt tag. Search engine optimization decide your blogs future that your event blog is going to be successful or not.Especially when if you’re working a blog which will getting organic traffic more than from other sources. On page and off page seo will helps to get top in the search results.On page seo can be done with greate SEO optimized website layout, SEO tags, external links and others.Off page seo is not easy as on page.You have to build your social image, share blog posts on social networks. You can also adopt the SEO techniques which your competitor is using to get traffic.Here is the tutorial on How to steal your competitor’s backlinks, rankings & traffic. Bulk doesn’t mean good, same story apply with the backlink.You should create backlink for your event niche blog.Mostly bloggers think that more backlinks leads to more traffic and money, but more backlink increases your chances to getting panalyse by Google updates. Focus on the quality while creating backlinks for your blog instead of quantity.Quantity may affect your blog rank and quality helps to make your blog worthy.You can create a list of blogs which are similar to your blog event niche.You can comments on blogs, comments increses the chance of getting traffic from the other blogs. The main motive behind the event blogging is making money from the blogging.So it is important to choose the proper method to monetize your event blog.There are hundreds of methods and options available, but I recommend you to use only 1 or 2 methods. Google Adsense is the first choice of many event blogger because you’ll get huge amount with Adsense, but if you’re not accepted on Adsense then go for other alternatives. Chitika is the best option after adsense, similar to adsense you can place your ads in the side bar, in the posts, header and in the bottom of the website.You’ll get good amount on impressions and on clicks. Others alternatives are OnClick Ads, Media.net, Clicksor, Kontera. So we hope you like this post, these steps of Make Money from Event Blogging will definitely help you to choose the best event niche and method of making money from event niche blog.